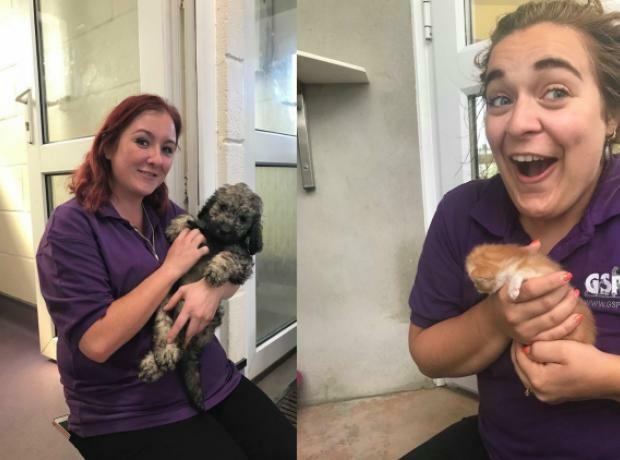 Last month two of the GSPCA staff had the opportunity to spend time at three RSPCA centres namely Stubbington Ark, West Hatch and Ashley Heath. They started their trip on the overnight ferry which in the morning meant a short drive to the RSPCA Stubbington Ark in Portsmouth where they spent a full day in one of the largest RSPCA centre’s in the UK. Day 2, 3 and 4 was spent at RSPCA West Hatch in Taunton where they have a Domestic and separate Wildlife Centre and Seb and Beckie got to spend time in both working with the staff, volunteers and many animals.